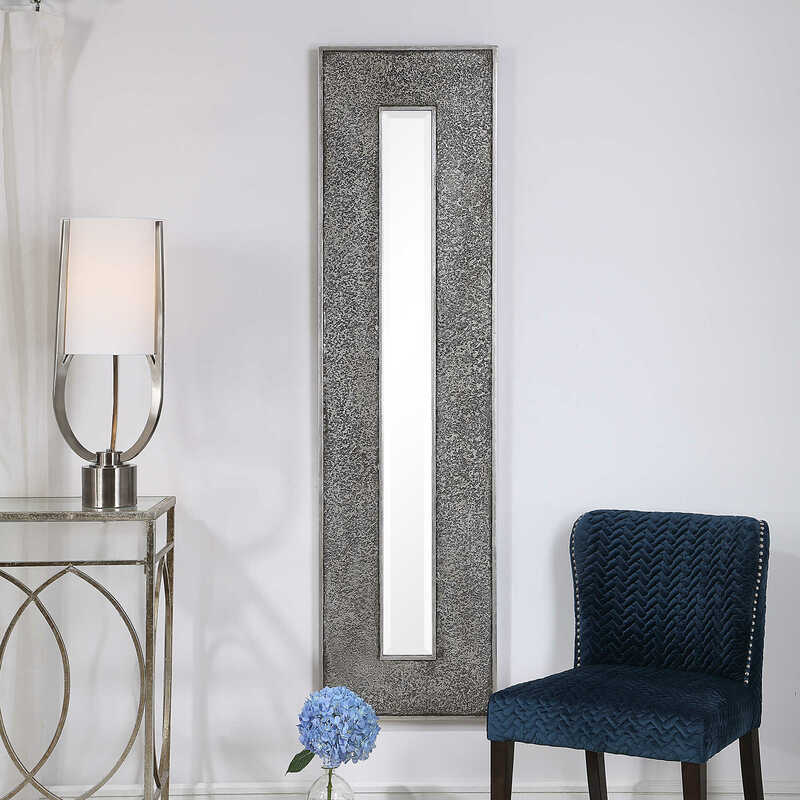 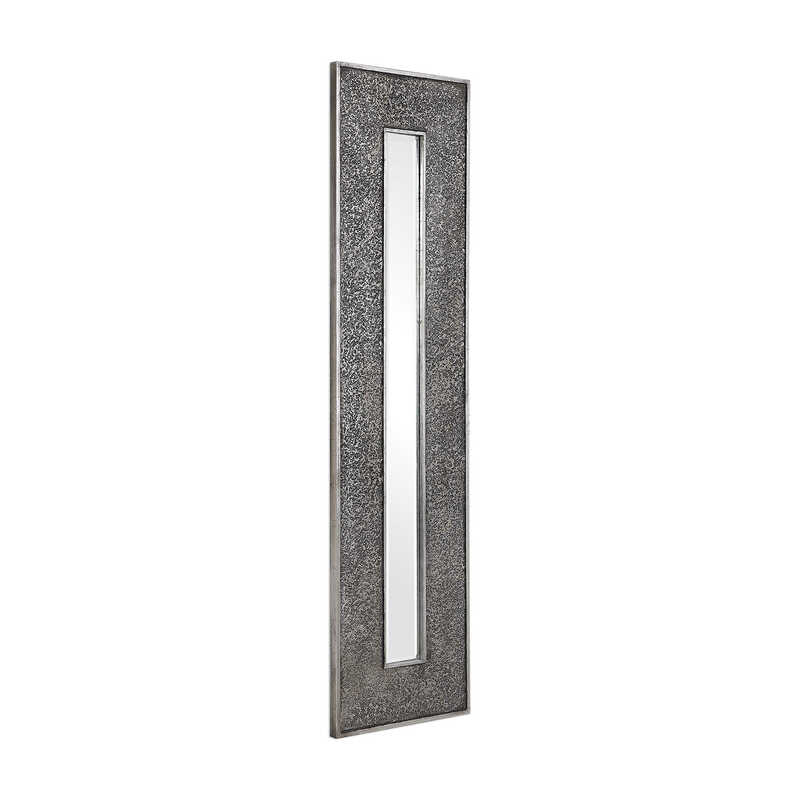 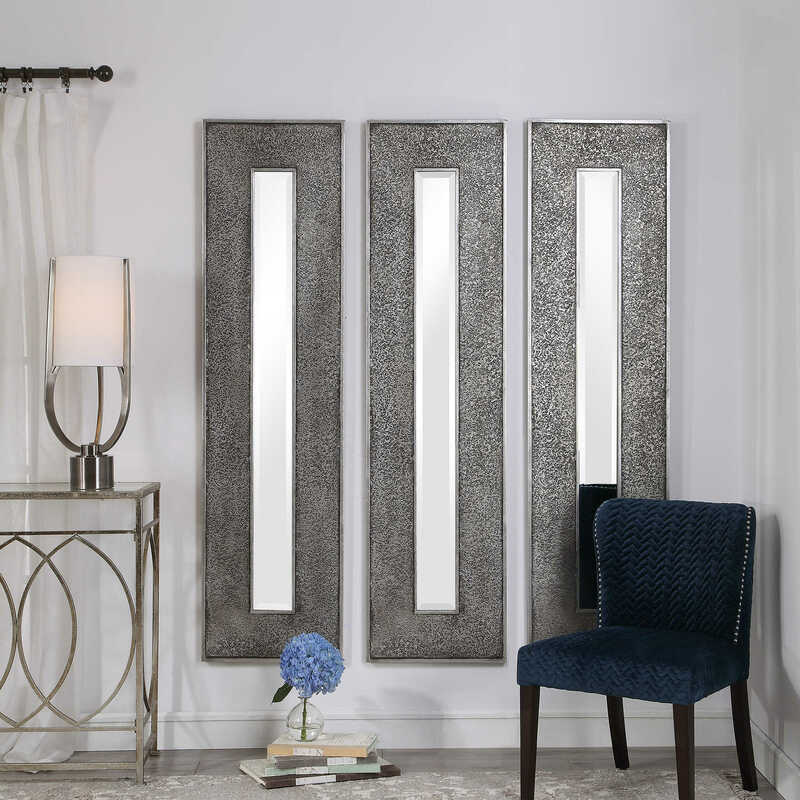 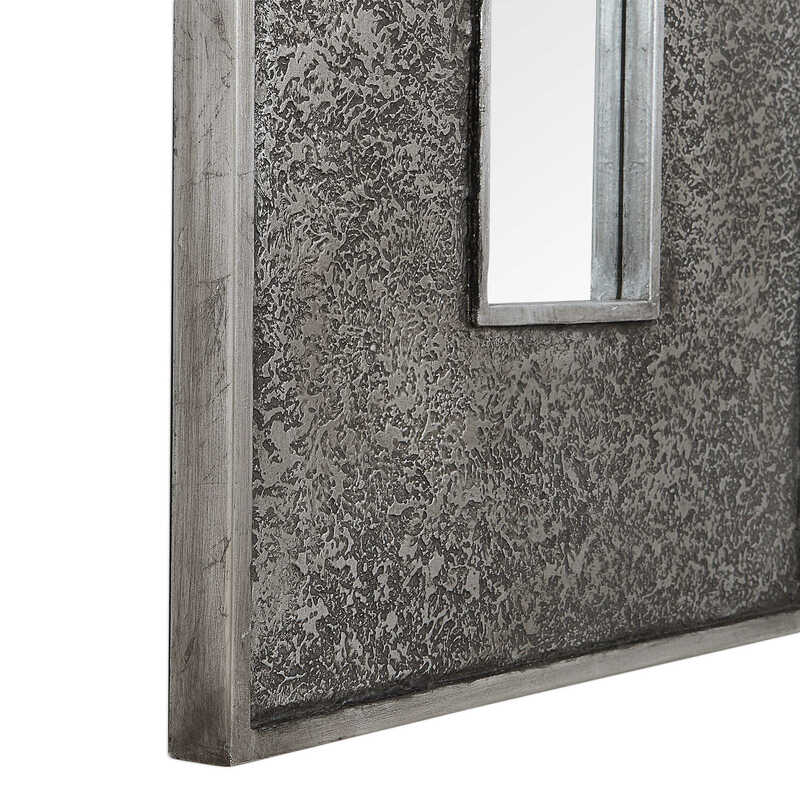 This rectangular mirror features a heavily textured surface finished in a metallic silver leaf with a heavy charcoal wash over a solid wood construction. 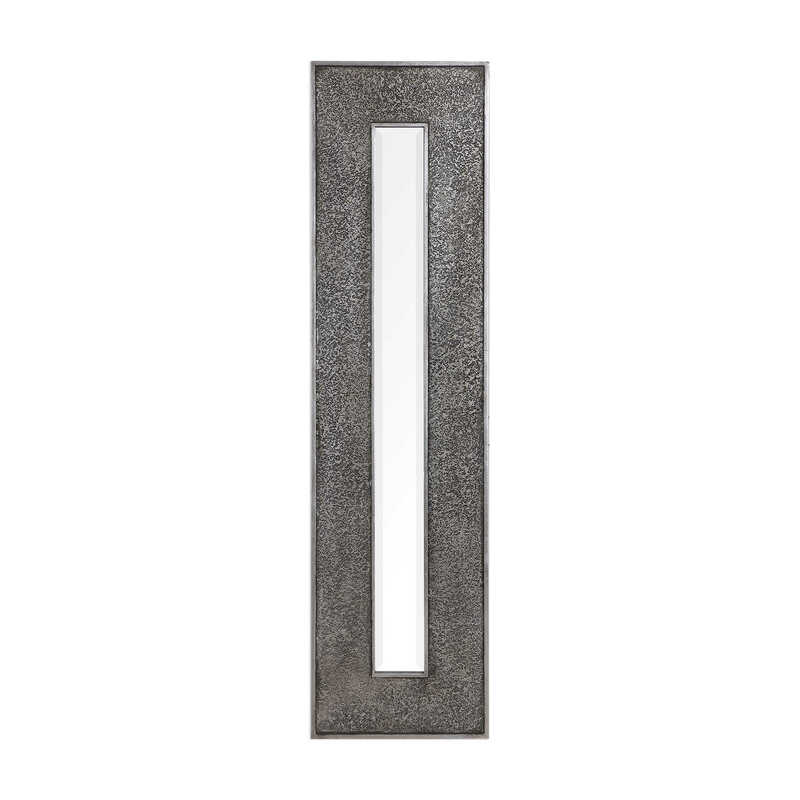 This contemporary design boasts a great profile for showing individually or multiple for a bold statement. 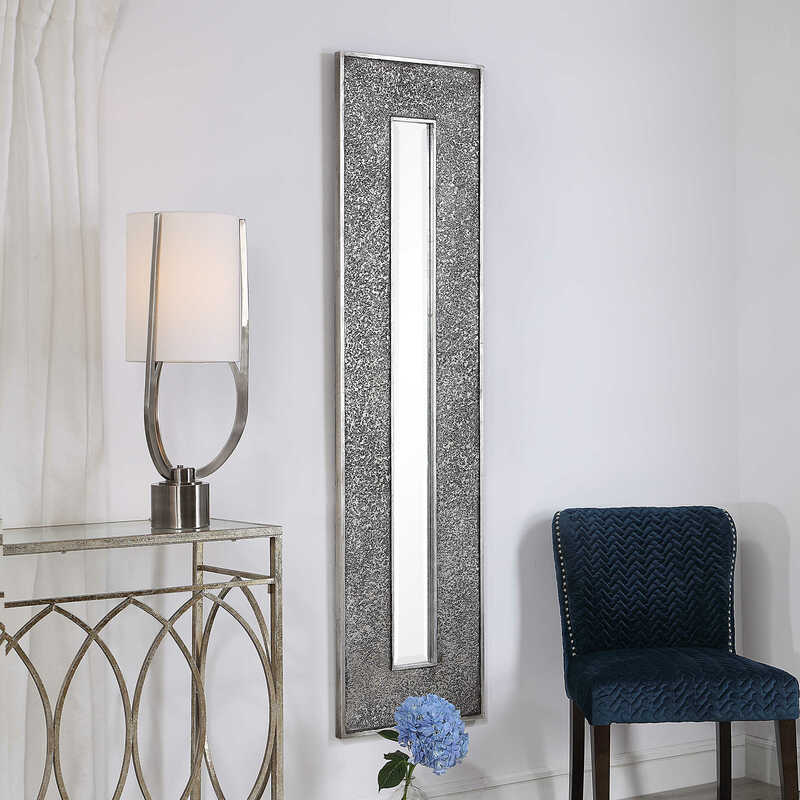 The mirror is beveled and can hang vertically and horizontally.